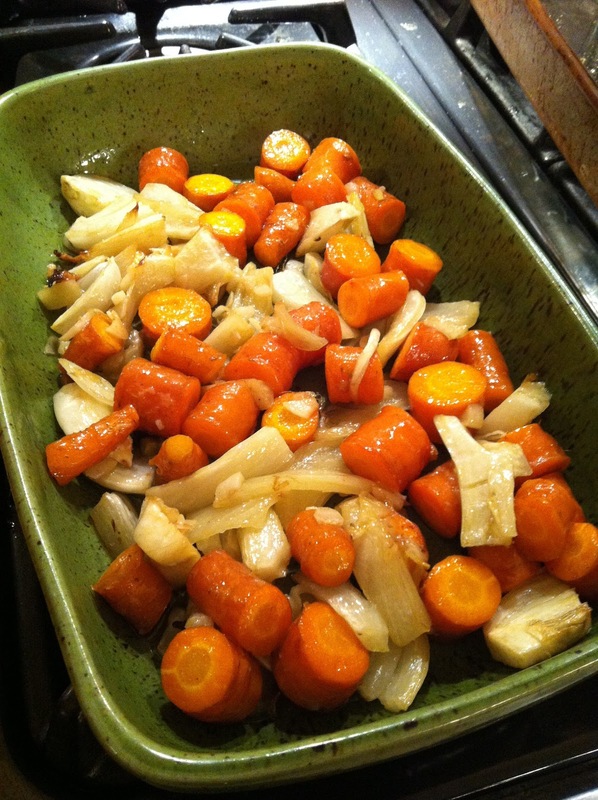 Speaking of roasting...here's a great combination, carrots and fennel. It really makes a difference in a simple dish like this to spring for the organic or farmer's market carrots. Preheat your oven to 400, cut up your carrots and fennel bulbs, toss in a little bit of extra virgin olive oil, kosher salt, and ground white pepper then pop in the oven. I like to stir them around a bit after 30 minutes, total cooking time 50 minutes to an hour...and maybe add a couple of chopped garlic cloves five minutes before you pull it out. A little more kosher salt wouldn't hurt either.